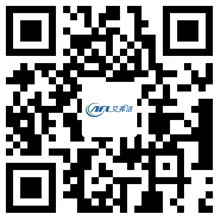 Choosing a Axial Fan on afl-fan.com - Hangzhou Airflow Electric Appliances Co.,Ltd. How much heat is the system estimated to generate? How many cubic feet per minute (CFMs) of air will need to be moved by a cooling fan to reach and maintain a proper, functional operating temperature? Thermal resistance, surface temperatures of mechanisms within a unit, the temperature of fluids within an apparatus and their expansion potentials, and failing point of materials are all focal points when deciding on the proper cooling fan. When conducting thermal analysis, the temperature source should be accounted for typical and worst-case scenarios. Once this is determined, an effective air–flow requirement can be established. As air is taken into and exhausted from a cooling fan and therefore removed from equipment, a cooling system will lose air pressure. System Impedance is simply the sum of pressure drop throughout a system. The more air paths—e.g. the more exhaust venting, intake valves, and overall system length and complexity within a cooling system—the greater the margin of error for controlling system impedance rises. Determining overall capacity and integrity of a cooling fan and connected systems will further enable efficient determinations of static pressure and needed ventilation can be established. Air flow and pressure dynamics are the biggest considerable differences between choosing a fan or blower system. Blowers operate against a high-pressure gradient and deliver air flow perpendicular to the blower axis. In contrast, fans work against low pressure environments and produce high air flow rates parallel to their fan blade axis. Blowers create much higher air pressures and are generally much louder than fans. Blowers can be gear–driven air pumps and are most effective when dealing with a disparity of air pressure in an application.